Merri Hanjora | For The Lima News Don Dunbar bought this 1931 Ford Model A seven years ago. 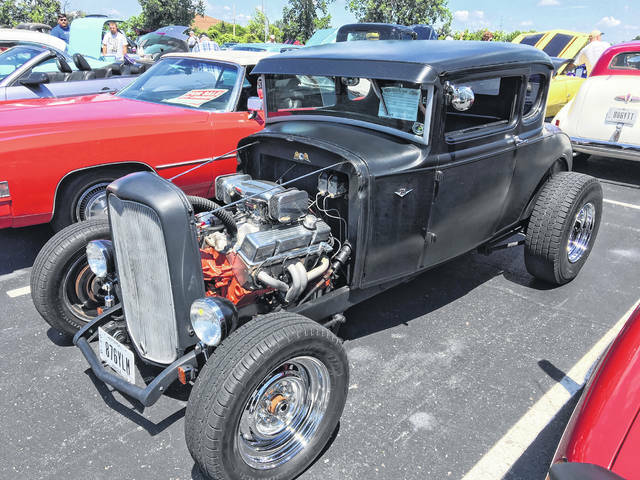 OTTOVILLE — Don Dunbar brought his 1931 Ford Model A to the Westgate Charity Car Show. He has owned it for seven years. Ford Motor Company followed up the production of its Ford Model T with the Ford Model A. Prices of the Model A ranged from $385 to $1,400. Henry Ford’s son, Edsel, was instrumental in the car’s style. The Model A was sporty, attractive and well-built. The buying public loved the car, as it sold 4.3 million Model A’s during its four years in production. The Ford Model A has become a hot rodders dream. It’s known as the A or A-bone among rodders. Dunbar says his car isn’t used for daily driving, but he enjoys taking it to car shows. https://www.limaohio.com/wp-content/uploads/sites/54/2019/04/web1_RealWheels-1.jpgMerri Hanjora | For The Lima News Don Dunbar bought this 1931 Ford Model A seven years ago.